Visit island Krk Croatia. Online travel guide of island Krk. The Town Krk is the administrative, political, economic and religious center of the island of Krk. From the earliest times, the town of Krk has been the historic and cultural center of the island. According to last census in town Krk live almost 6000 people. The city is ancient, being among the oldest in the Adriatic. It has been continuously inhabited since Roman times and was once part of the Byzantine Theme Dalmatia after the Roman Western empire had fallen to the barbarians. Krk was an important settlement for the Romans and you'll see Roman ruins in the city walls and a Roman thermal with a hypocaust dating from the 2nd and 1st century BC. 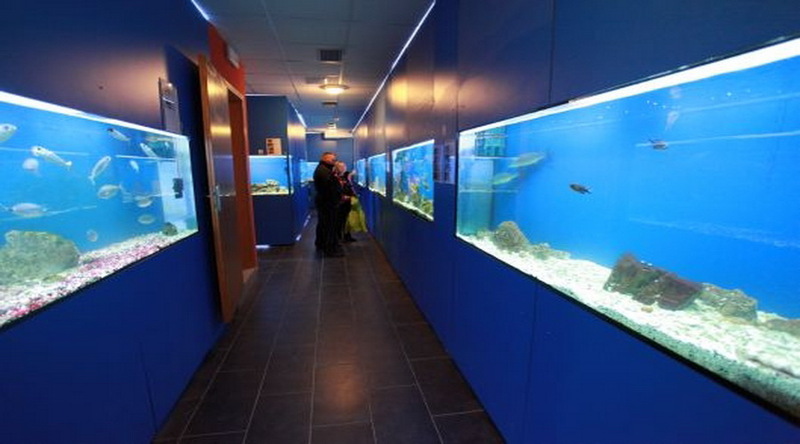 Baska Aquarium offers a unique experience of sea life and underwater world of the Croatian Adriatic Sea. Richness and diversity of Adriatic fish (catfish, moray, lobster, grouper, octopus ...) are displayed in twenty-one aquariums that occupy 35 m3 of the sea. 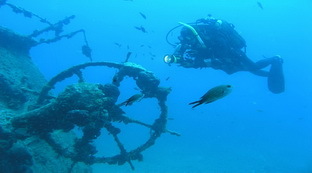 Island of Krk offers great choice of different diving positions. There is more than 10 diving centers on the island. For scuba diving in Croatia you need to have a diving certification card (PADI, CMAS, SSI, etc.) and the croatian dive permit. The croatian dive permit is easily available at any dive center, it costs € 15, - and is valid for 1 year. Here are some popular diving points. The island of Krk is situated in the Bay of Kvarner. Krk is the biggest island in the Adriatic with area of 409,9 square kilometers. The higest peak is Obzova at 569 meters. There are 68 settlements on the island. Krk has mild Mediterranean climate with average summer air temperature 23 C. Sea water temperature is between 23-25 C. Island has almost 2,500 hours of sun a year.